Provide a community-run facility to accommodate future town growth with functional space for large groups, able to operate 24 hours per day during severe weather. 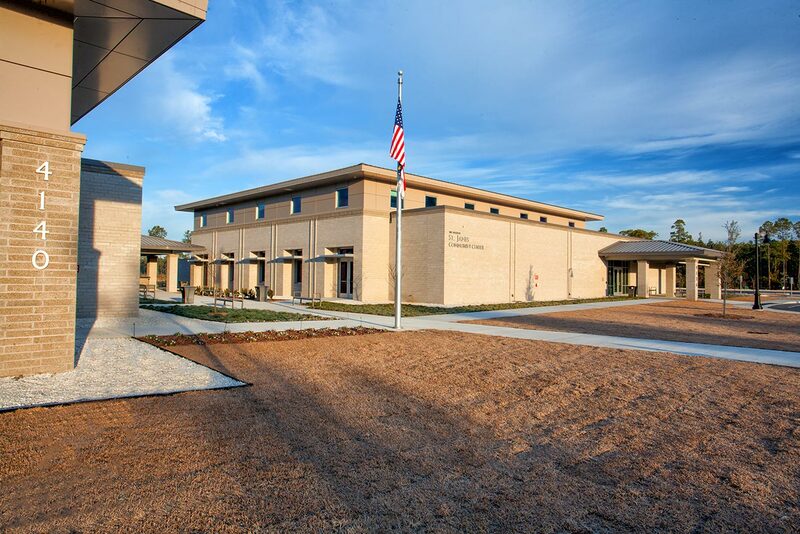 This project incorporates an 8,000 sqft Town Hall with a 13,000 sqft community center on one campus. 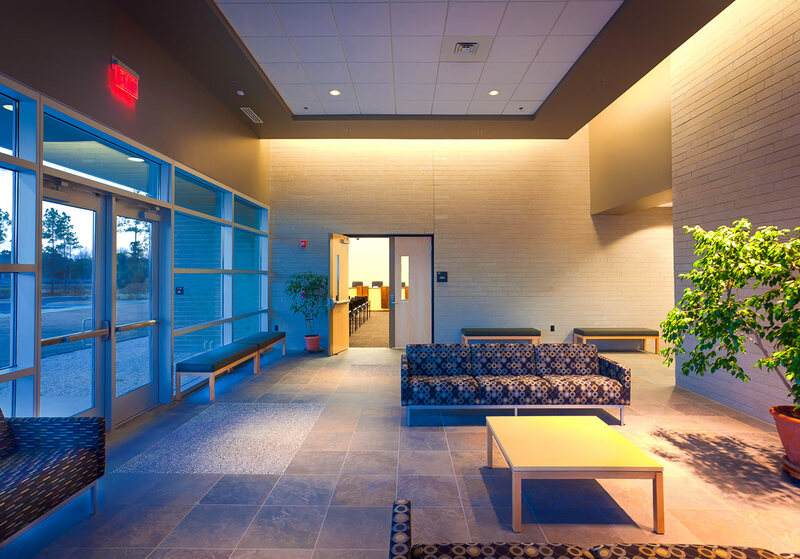 The town hall provides offices for town administrators and the property owners association, as well as town council chambers, plus seating for 84. 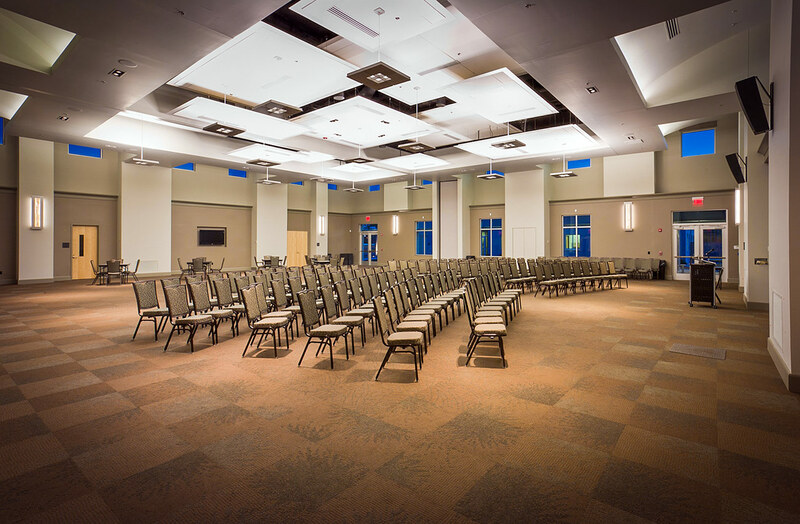 The community center consists of a 500-person capacity multipurpose room, three smaller meeting rooms, an art room and a catering kitchen. The spaces provide multiple options for room sizes through operable partitions. 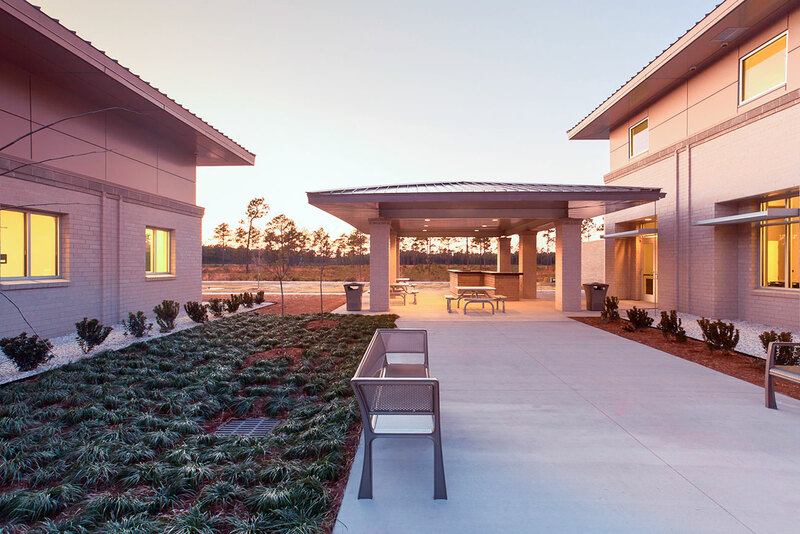 Sustainable design features include daylighting, lighting controls, high-efficiency HVAC equipment, low-flow sinks and toilets, waterless urinals, thermally-efficient wall and roof systems, and high quality, low maintenance finishes.